On Sunday afternoon the weather turned cold again and we decided to try out the fireplace. 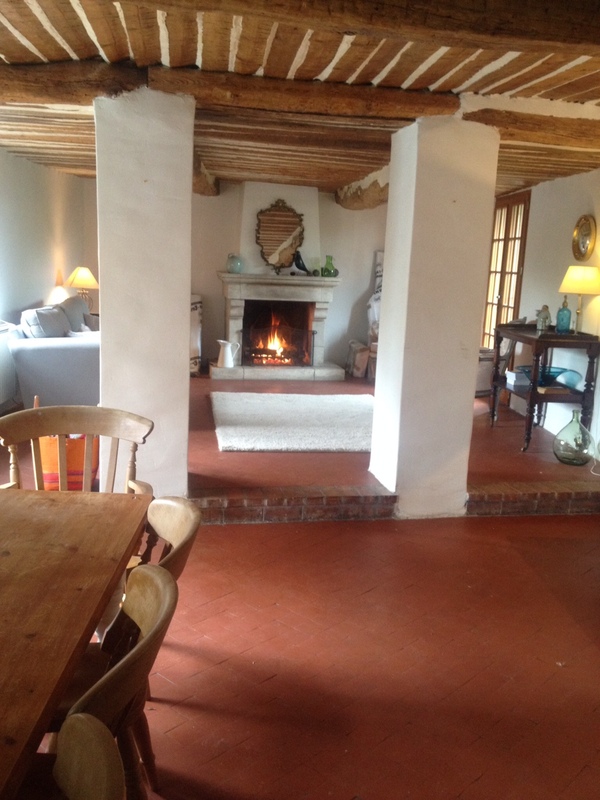 Before long we had a roaring, crackling fire warming the living room as we ate a late Sunday lunch. 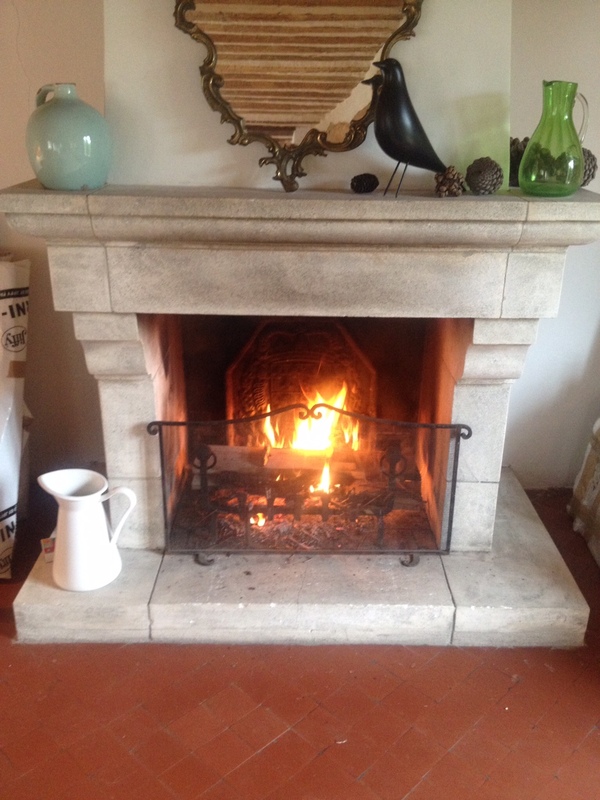 It was very cosy, a bit smokey but it gave us a lovely taste of winter…literally! The fire didn’t last long as we were burning wood from the garden and before long the sun came out and it all warmed up again. Still, we ordered logs to be delivered so that we’re all ready for the cold weather as we’ll be spending our first Christmas in France this year.